We know the importance of having the right grain locations and team to help with marketing decisions. Country Visions Cooperative has five full service grain elevators. Customer service provided by employees experienced in the grain industry. 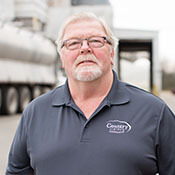 Mark Mentink is the Grain Divison Manager for our Cedar Grove and Random Lake locations. He graduated from the University of Wisconsin-Madison with Bachelor's degree in Animal Science. He joined CVC in 2017 and his favorite part of the job is that every day is different--lots of variety to keep the job interesting. His interest in agriculture started when he began working on a farm early in his career and enjoyed working with the animals and being outside. Brad Jaeger is a Grain Merchandiser at the Chilton and Kiel location and has a Bachelor of Science degree in Agricultural and Applied Economics from the University of Wisconsin-Madison.In May 2016 Brad started working at Country Visions Cooperative and his favorite part of the job is helping producer put together a marketing strategy that best suits their needs and then seeing that yield a positive outcome. Brad’s interest in agriculture sparked from growing up helping on his grandparents’ dairy farm, and now is continuing to help his parents raise heifers and cash crop. He knew since he was a kid that he wanted to be engaged in agriculture in some way. 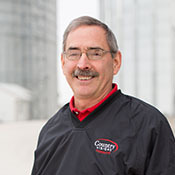 Then while in college, during his second summer internship, he discovered that grain merchandising was his niche in order to have off-farm job while still being in the industry. 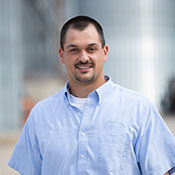 Paul is a Grain Merchandiser at the Valders, Whitelaw, and Mishicot locations and has a Bachelor of Science degree in Agriculture Education from the University of Wisconsin-River Falls. In 1983 Paul started working at Country Visions Cooperative. Paul’s interest in Agriculture sparked from growing up on a 250 acre Guernsey dairy farm near Calumetville. 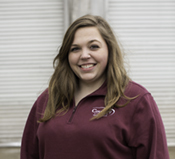 McKayla started working at CVC in 2017 and she is the Grain Marketing Assistant for our Cedar Grove and Random Lake locations. She graduated in 2017 from the University of Wisconsin-River Falls with a Bachelor’s Degree in Agricultural Business and Crop Science. Her favorite part about her job is working with growers and that her day-to-day tasks are always different. McKayla’s interest in agriculture sparked from growing up on her family’s farm, riding horses, milking cows, feeding calves, and driving truck during harvest seasons.